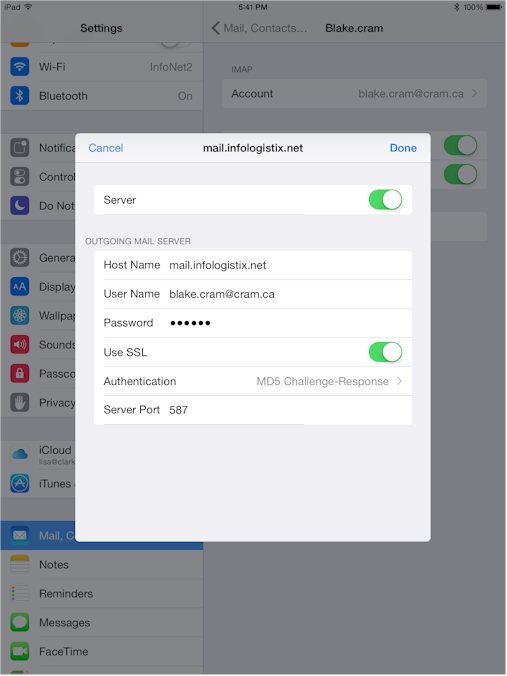 Setting up mail in iOS on your iPhone is usually pretty straightforward, but there are a couple of steps you might miss. One of them is including the outgoing password. 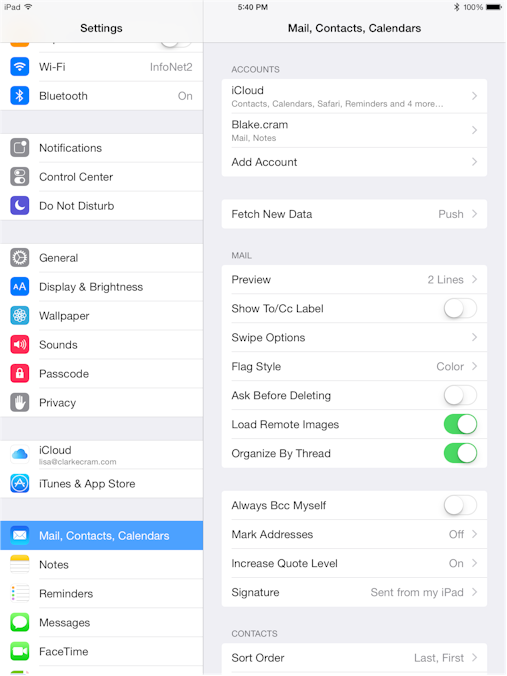 Apple says it’s optional, but I can’t think of a provider where that is true. Make sure you see Step 5 and fill in the password field. 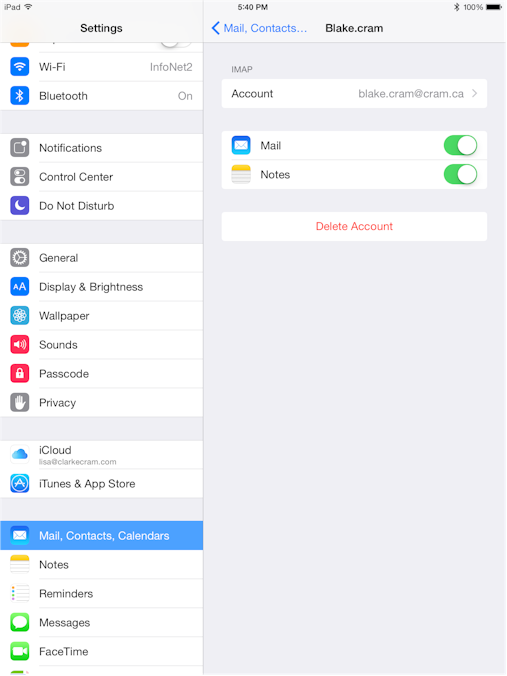 Step 1 – Go into settings, then “Mail, Contacts, Calendar”. 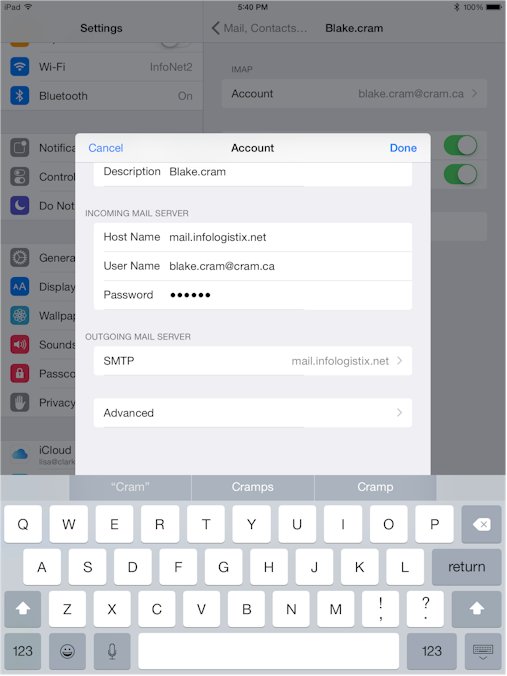 Step 2- Go into your account settings (Blake.cram in this example). Step 3- Tap on Account. 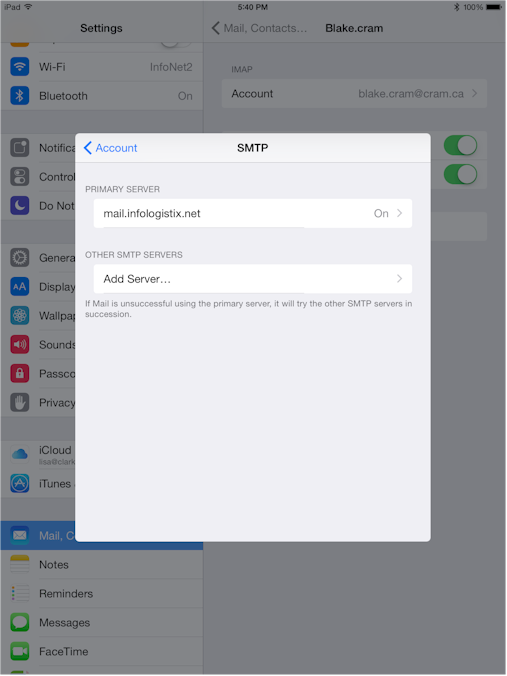 Step 4- Go into SMTP. Step 5- Go into the Primary Server panel, and enter the host name, authentication, and server port to what is seen below.